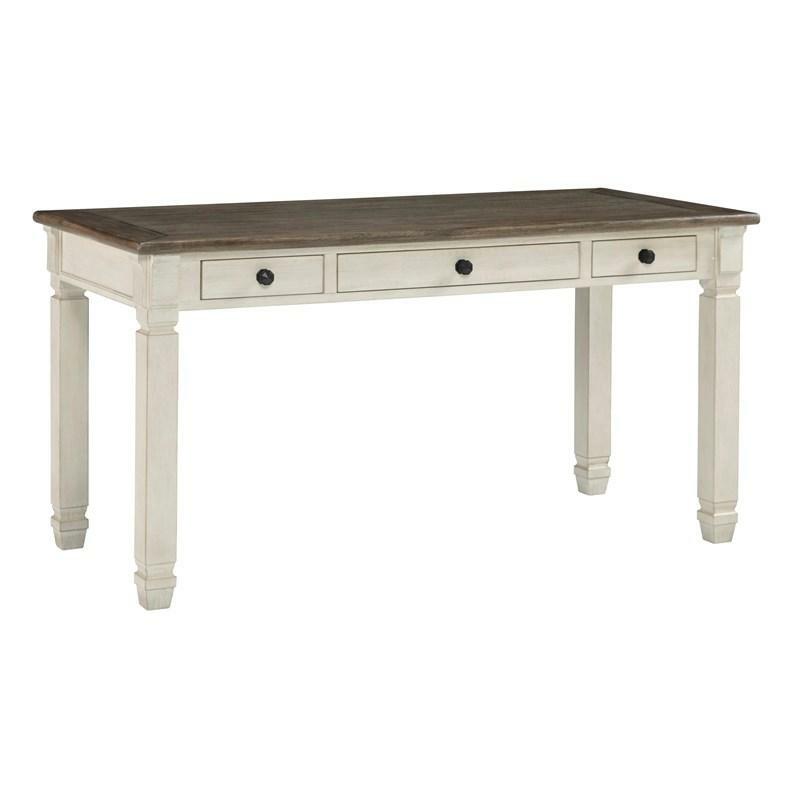 Whether your style is farmhouse fresh, shabby chic or country cottage, you'll find the Bolanburg desk with large bookcase works on so many levels. 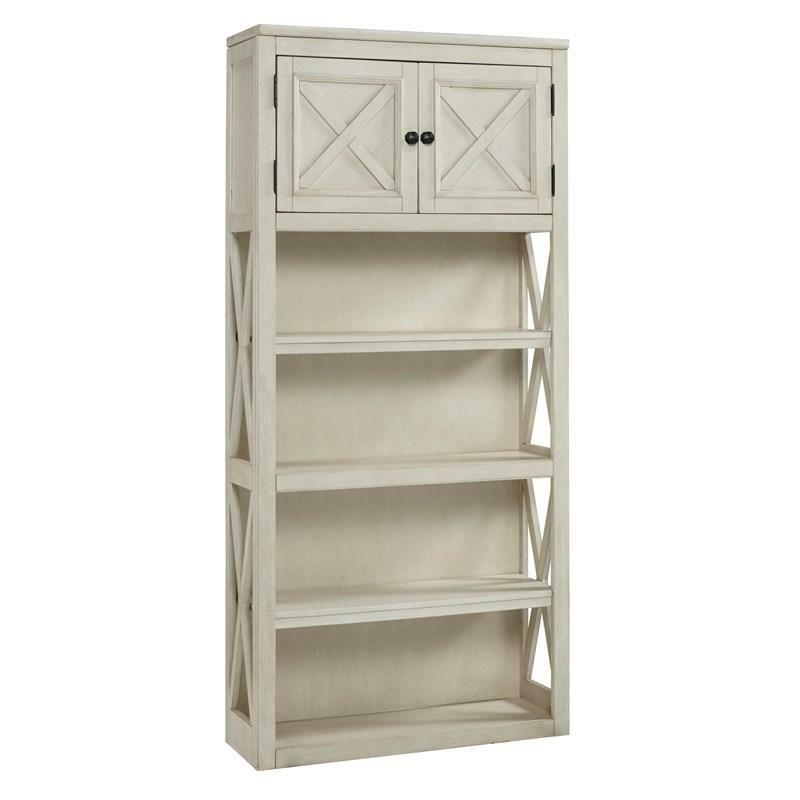 A gently distressed antique white finish and cross-buck detailing give the bookcase distinctive charm. 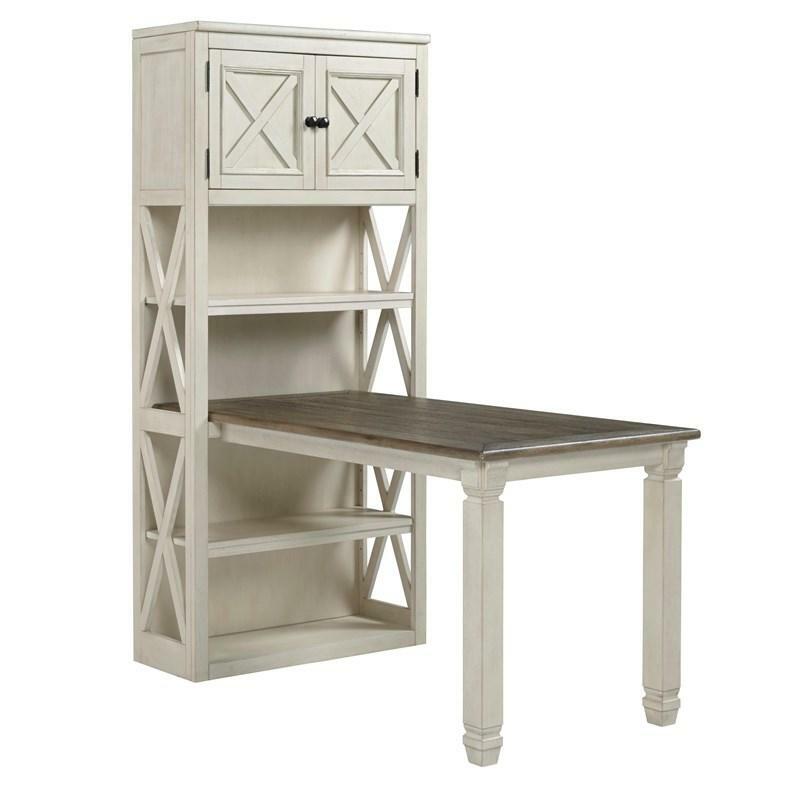 Trio of shelves and double-door cabinet provide plenty of storage in a space-efficient way. • Top opening 30.25" x 11.13" x 26.00"
• Bottom opening 30.25" x 11.13" x 24.50"
• Adjustable shelf (2) 32.13" x 12.00" x 1.88"
• Door opening 27.75" x 11.13" x 15.88"